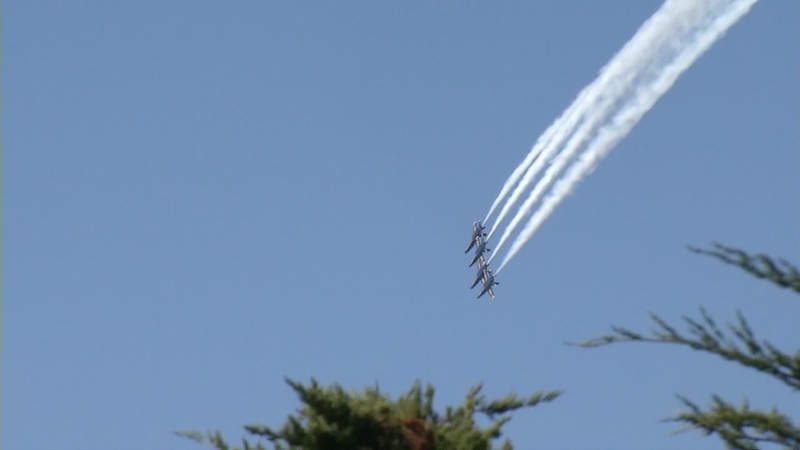 SAN FRANCISCO -- The Coast Guard has ramped up its security and safety patrols during Fleet Week to make sure spectators and participants enjoy the event safely, officials from the agency said. Air shows are going on this weekend, and Coast Guard patrol boats and small boat station crews are maintaining safety zones for the shows. They are also escorting other military ships during Fleet Week and standing ready to respond to search and rescue events, agency officials said. Coast Guard Maritime Safety and Security teams from San Francisco, Los Angeles/Long Beach and Seattle, in addition to Maritime Security Response Team West, based in San Diego, have deployed alongside Bay Area-based Coast Guard and partner agency crews to ensure safety, agency officials said. Fleet Week brings a parade of military ships, community events and air shows by the U.S. Navy's Blue Angels to San Francisco every October. It attracts millions of visitors and generates more than $10 million in annual revenue. ABC7 News will have full coverage of the air show and other events on-air and online throughout the weekend.